Mansfield Town have re-signed midfielder Adam Chapman on a free transfer, while defender Jamie McGuire has signed a new deal and utility player Mitchell Rose has also joined. Chapman, 25, left fellow League Two side Newport at the end of the season. Former Rotherham player Rose, 20, the brother of Tottenham full-back Danny, has joined from non-league Ilkeston. McGuire, 31, who joined in 2013 and played 31 times last season, has joined Rose in signing a one-year deal. 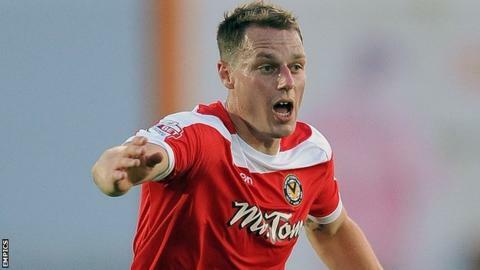 Boss Adam Murray said Chapman, who scored four goals in 11 games for the Stags when the club won the Conference Premier title in 2013, is one of the best midfielders "at this level". Murray added: "He has a good presence, fitness, good distribution and he has a goal in him. He'll get us playing. "Jamie acts like the glue in the dressing room because of his personality and character. He came to the forefront last season during some tough times."